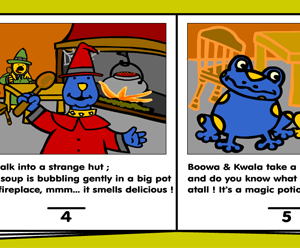 Kwala is so excited, that she has written a little song ! 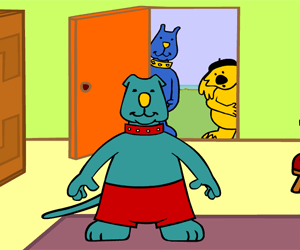 Boowa, Mummy Koala and Grandma Koala like this song A LOT ! ... and he can't see very well. 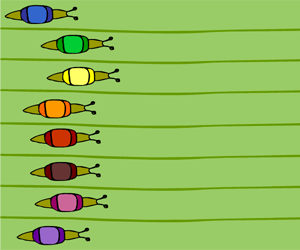 But Boowa and Kwala have a great idea for a trick they can play. 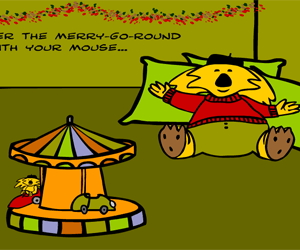 You'll have lots of fun with her toy merry-go-round (the music is great too). 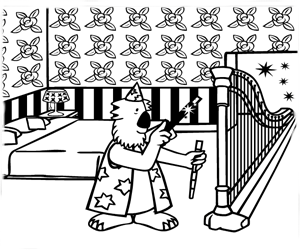 Grandpa Koala just made a harp appear by magic. Color it quick, before it disappears ! 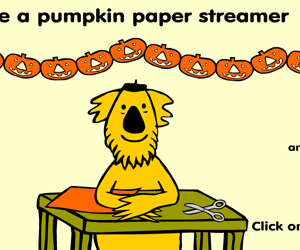 Grandpa Koala's paper pumpkin streamer. A colorful hanging decoration for your Halloween party.